Lakes Area Home Inspections takes great pride in the work we do. We are meticulous in our inspections because we care about our clients’ safety. But it is not always about business. We also care about the well-being of the members of our community. We recently had the opportunity to work with Tom Keefe as a Silver Sponsor for his 4th Annual Keefe Kares Celebration. 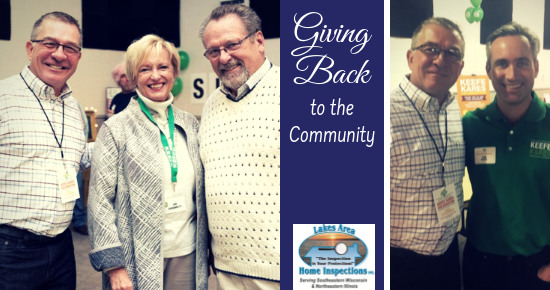 This amazing charity supports underserved members of the local community by contributing to organizations such as local food pantries, homeless shelters, Big Brothers/Big Sisters and so many more. It was our honor and privilege to be able to give back to those who need it most. To contact Lakes Area Home Inspections, call us at 262-818-0911 or visit lahigroup.com.